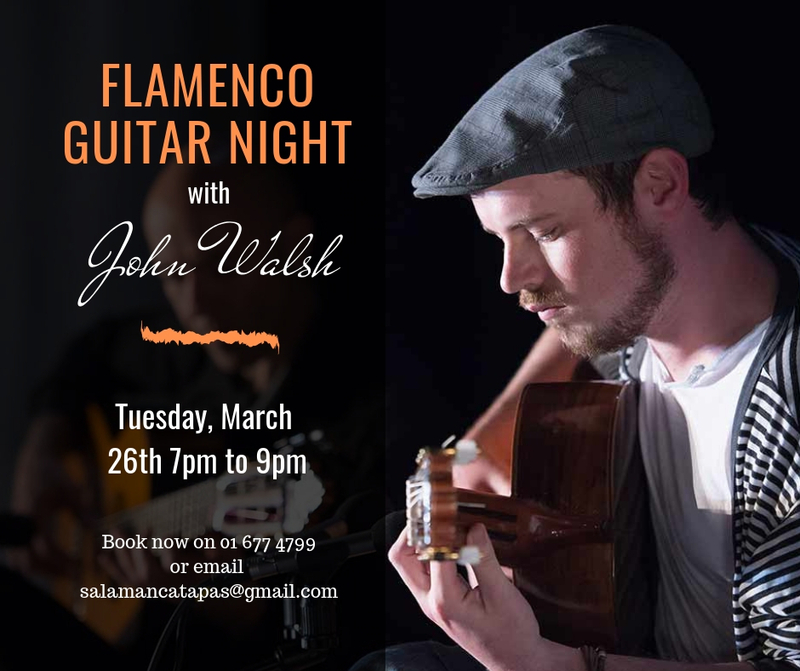 Our Flamenco guitar night, with the talented Irish flamenco guiarist, John Walsh, has been well received in Feb and March, so we decided to keep doing the event. The next night will be on the 26th of March, between 7-9pm. Come and join us on this great night full of vibe, good mucis, tapas and drinks. This event is free but you must book your spot to avoid disappointment.